Meet some of our favorite mobile tacos, burritos, and more! They say all's fair in love and war, but what about tacos? We’ve all craved late-night Mexican or even yearned for that golden breakfast burrito that hits the spot on Sunday morning after a long Saturday night. That’s why during the summer months, dozens of food trucks ramp up their presence in and around Stockton, competing for our affection. Sunday to Thursday, 8 a.m. to 10 p.m.; Friday and Saturday, 8 a.m. to 11 p.m.
You need that breakfast burrito, don’t you? It’s OK, we know the feeling. Why not try a chorizo and egg burrito? After all, that’s why Beto’s opens at 8 a.m. It is here to fill your early-morning cravings. But this truck is ready to serve any hungry passersby. Mid-morning snack, afternoon pick-me-up or late-night hankering—Beto’s has you covered. Daily from 8 a.m. to 9 p.m. Known for its classic tacos and multiple locations, El Grullense truck’s central hub is on Charter Way. This local landmark has been around for over 15 years and many would agree it’s because of the carne asada. Pile on the special ingredients: onions, cilantro, veggies, spicy salsa and, of course, cheese. 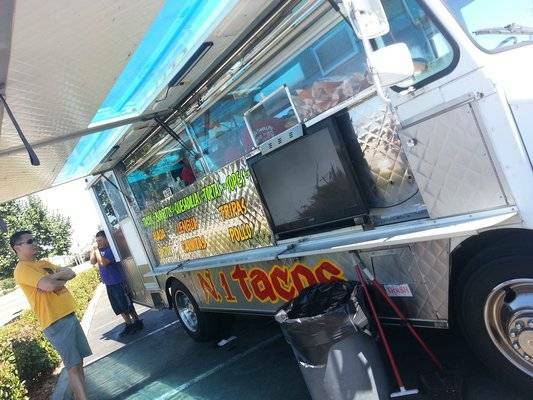 This truck is a staple of Stockton and one you’re going to want to visit regularly. Daily from 9 a.m. to 9 p.m. When people talk about the Lowe’s taco truck (though not associated with the store), they’re talking about El Grullito. Dubbed one of the best Mexican places in all of Stockton by the locals, El Grullito strives to offer great service and even better food. Come by for some tacos and stay for some entertainment while you eat. They have a big-screen TV and picnic table for hungry patrons who are thinking about ordering seconds. Daily from 9 a.m to 8 p.m. The “perfect amount of heat” is a phrase commonly used to describe El Tarasco tacos. They have a spice for every taste and tolerance. At El Tarasco, it’s your mouth so you choose! Sauces range from mildly spicy to flaming hot with every preference in between; there’s plenty of freedom to create the dish you’re craving. That’s exactly what El Tarasco wants and it’s precisely what will bring you back for more. This truck knows what it’s doing. Sunday to Thursday, 8 a.m. to 10 p.m; Friday and Saturday, 8 a.m. to 11 p.m.
Open early, open late. Loncheria Chapala is here for you when you need it. Particularly when you need some tongue. It’s not often you hear customers raving about the tongue in their burrito, but when you do, it’s at Loncheria Chapala, where it’s described as soft and chewy. If you’re not up for tongue, try the beef tacos, known for huge helpings that fill you up before you’ve finished your plate. Where else can you get a plate full of nachos for just five bucks? Fans of La Paloma will tell you it is well worth it. The freshest meat, vegetables, real nacho cheese and sour cream piled on top of crispy chips is enough for a whole meal. It’s a great item for sharing because the dish is ginormous, so consider sharing with the kids or your date. Forget the fork—use your hands and dig right in. It’s hard to say if all is fair in love and war, but when it comes to tacos in Stockton, all is certainly delicious. So with plenty of options to choose from, where will you go to get your salsa and guac this summer in a city that’s rampant with different takes on the Mexican classics? Got a favorite Stockton taco stand not listed? Text us 7 days a week, 8am to 8pm at (877) 778-6258 and you'll receive a live response from a member of our team. Stay social with Visit Stockton on Facebook, Twitter, and Instagram.